The battle between Android and iOS has been going on forever. Each system has its own ups and downs and moreover, they have specific apps for every possible action. Mobile developers have tried to surpass each other in creating unique and impressive products. Let’s see below a set of the greatest iOS only apps in the store. They cannot be found in the Android version and have no competition on this version’s market. Does your personal schedule depend on the weather outside? Then you definitely need this application on your iPhone. 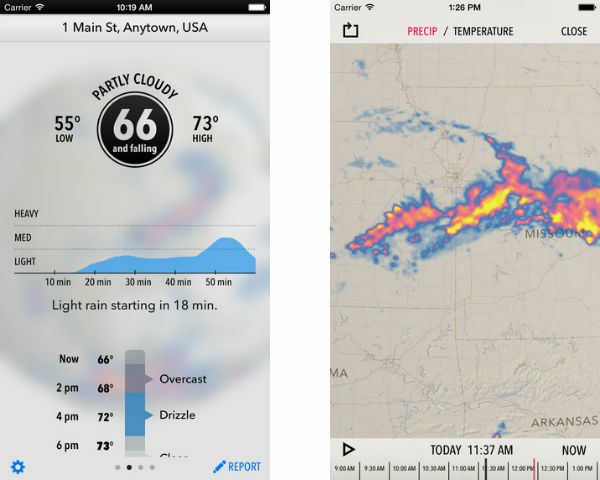 Dark Sky is about forecast brought to extreme. It predicts rain or snow with one hour in advance and it contains indicators of temperature, wind, humidity and UV. The design involves beautiful weather animations, and clean and customer oriented interface. This app acts exactly like your memory. Except it doesn’t forget things and it is always available to use. It works like this: users just have to input an e-mail address or a phone number and Humin associates them with a full profile of that particular person. Then, it memorizes when you last met, talked or chat. In this way, users can look up persons depending on their latest interactions. Type in “met in London” or “talked to last week” and done! 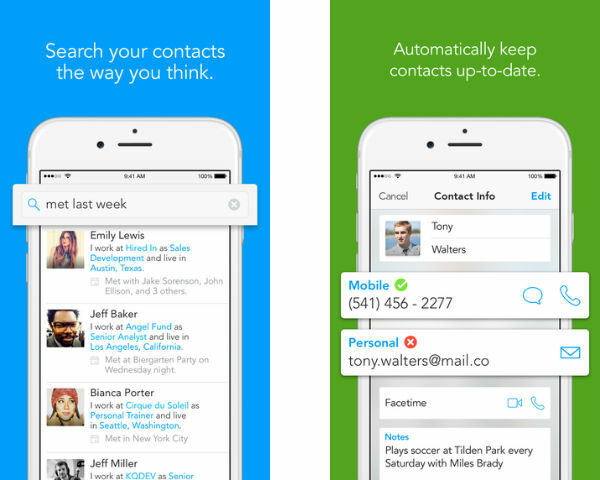 Humin finds everybody. This mobile app works like magic. It reads stars and planets instantly without any previous setup required. 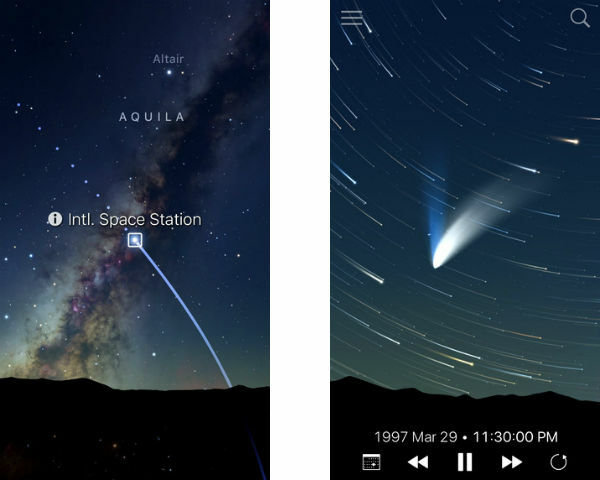 Users just have to turn on the app, hold the device up facing the sky and done – it scans the constellations and it tells you exactly what it is about. For a more adventurous use, employ the built-in compass and try finding starts on your own. Want to make your very own song? There’s nothing simpler with Loopy HD – even Jimmy Fallon can do it! 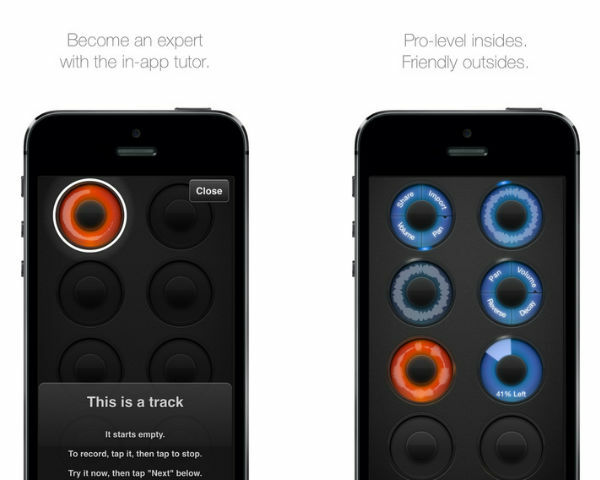 The app allows you to record different layers of sounds and then to combine them in order to create the perfect melody. Loopy HD has predefined sounds like beats, drums, guitars and other instruments. 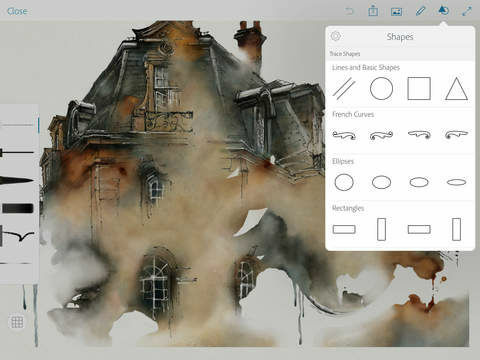 Get artistic on the go with the free app Adobe Photoshop Sketch. Because human imagination has no limits, this product contains a large variety of tools that help users create fine works of art without much effort. Choose between different degrees of color, opacity, thickness, and so on. The app also supports the brand new Apple stylus. This product is able to collate images, to direct the works towards desktop, to publish the images on a community forum, and to store up to 2G of content for free. Do you have to move out to a new house? This process is never pleasant, especially when you don’t have the time to look for perfect new cribs. Doorsteps Swipe eases everything by doing the hard work for you. 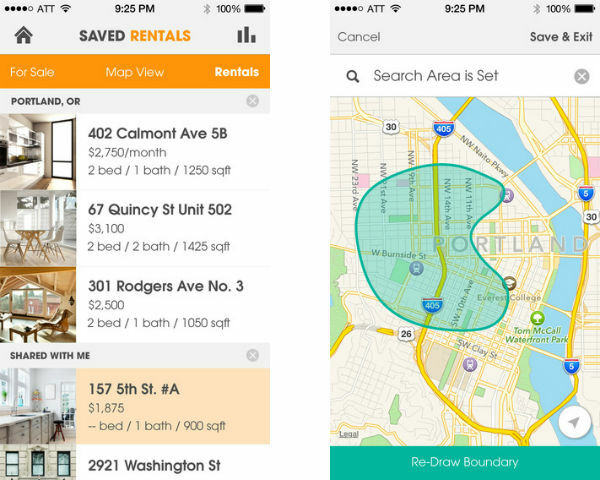 This app allows users to input data like prices, number of rooms and location, and then it simply displays all offers in that particular area. Now you can choose the fit house for you just by swiping the app wherever you are. Whenever you need help in any regards, just use SnapGuide and stop stressing out your friends. 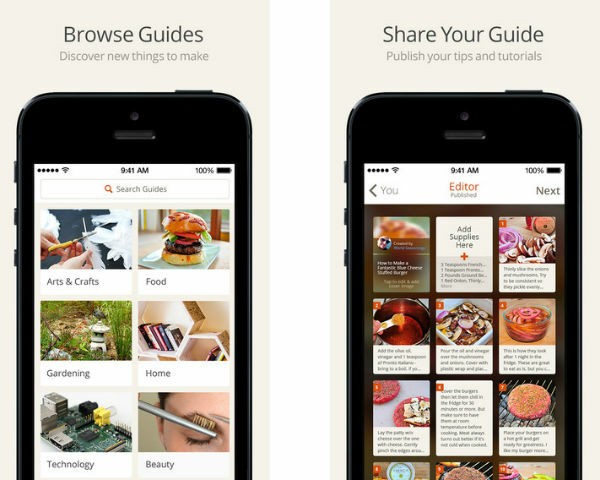 In here, users can find instructions, tutorials and step-by-step images for gardening, food, home repairs, technology, beauty, arts and crafts and so on. Users are always free to ask questions, to comment and even to create and post their own guides. This is a highly visual notes app for those who need to work on huge projects like house remodeling, for instance. It looks like a wall full of sticky notes with text and photos. The app allows users to capture an image and then start adding comments and sketches. Everything can be combined with diagrams and do to lists. 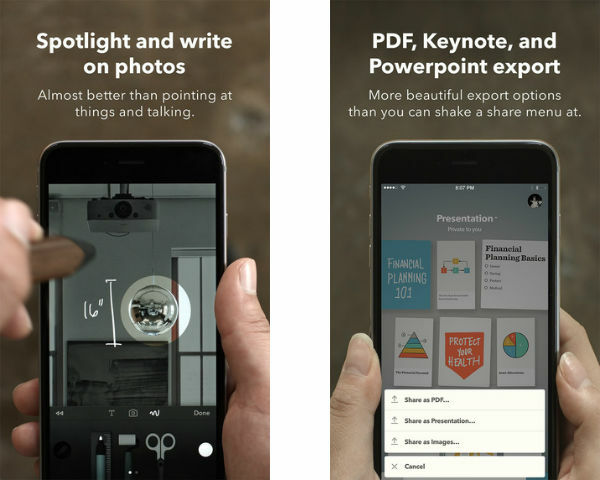 When you are done, export your work into PDF, Keynote or PowerPoint formats. Take mobile photo shooting to another level with this amazing app. 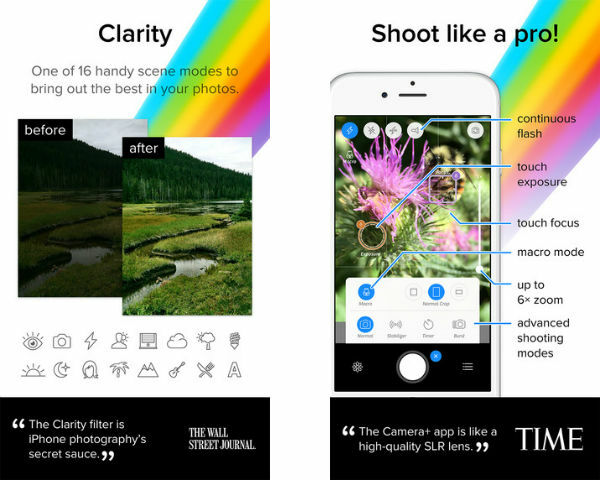 Camera+ has multiple features including different shooting modes, up to 6x digital zoom, front flash, tons of effects, clarity feature, crops, borders, touch exposure and focus. The design is really simple, as developers have managed to incorporate all features without overcharging the screen. Also, it is easy to find different tools and employ them. It is important to keep our brain sharp and ever functioning. 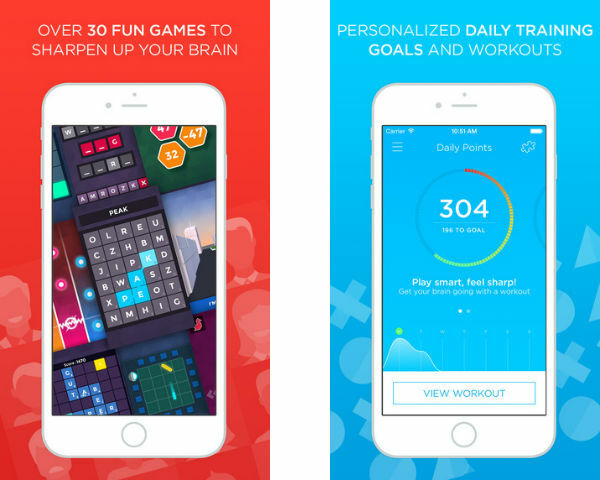 This app trains our mind without giving us the impression of a burden. Learning through playing is the best way of accumulating knowledge. And Peak offers multiple types of games – for memory, problem solving, language, mental agility and focus. Users can set daily goals and compare their results to other players of the same age. 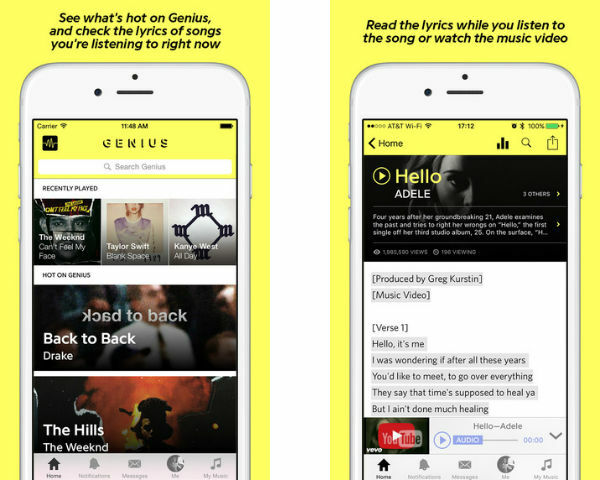 Music lovers will be thrilled to land on Rapgenius. In here, they will find lyrics for all existing songs and videos. But wait this is not all! The greatest part is this – lyrics are annotated with comments containing hidden song meanings. Users can also employ this app in order to detect certain songs playing near them. As you have seen, there are several iOS apps that will make Android blush. These are especially developed to exploit at maximum the iPhone’s features and technical capacities. Even if the Android market may have (or not) correspondent apps, the iOS ones cannot be beaten. Shahid Abbasi is a marketing consultant with Peerbits, a one-stop iPhone app development company and the home of app enthusiasts. Shahid likes to be busy with his team, to provide top-notch mobility solutions to enterprises and startups. Follow Peerbits on Facebook.